This review must remain fairly short and vague as I'm trying to avoid including plot points that would be spoilers for both Echo in Time and its predecessor Erasing Time. C.J. Hill, like Kasie West and Heather Moore, has more than one book up for a Whitney Award this year. In addition to Echo in Time, Hill also published Slayers: Friends and Traitors, a finalist in the YA Speculative category, in 2013. A team returns to Traventon, the city were Taylor and Sheridan were drawn into the future, in order to destroy the device that ripped them out of their home time and prevent the evil government from using it to create a dangerous weapon. The actions of some members of this team end up wreaking havoc with the time stream, causing unintended consequences that dramatically shift their present situation. The rest of the book is dealing with those changes and, since those initial actions are irreversible, trying to mitigate the damage done and rescue the innocent who have been harmed unintentionally. While the action was once again non-stop with Echo in Time as it was in Erasing Time, the plot felt more predictable. Before the team left, I had a pretty good idea of what would happen when they returned to Traventon, and the consequences of that action. And it played out pretty much exactly as I expected. 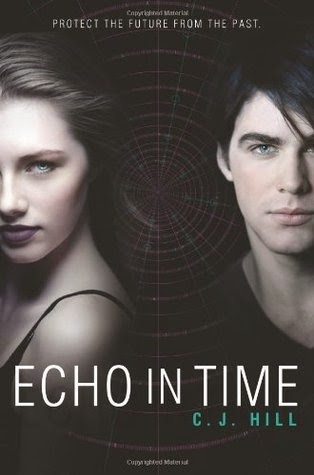 There's certainly nothing wrong with predictable plots and it can be argued that there are very, very few completely original stories at this point, but after being caught so off guard with the big twist in Erasing Time, I was disappointed to not get the impact of a big surprise in Echo in Time, as well. If you're drawn into the world in Erasing Time as I was, it's worthwhile to continue to read the story in Echo in Time. If you're less than enthralled with Erasing Time, you can probably skip Echo in Time and be none the worse for it. This book was a terrific sequel to Erasing Time! Oftentimes a sequel is a bit disappointing, but Ms. Hill does a marvelous job of creating new alliances and conflicts for her characters. The suspense builds as the twins and their companions struggle to escape their enemies. I only wish more people knew about this book. I can't wait to see what stories Ms. Hill has in store for the future!